International Dance Divas – Kym Mazelle, Denise Pearson and Pauline Henry perform your Favourite Disco Classics together with a full band! Floor-filling chart-toppers I Will Survive, Young Hearts Run Free, Hot Stuff, We Are Family, Shake Your Groove Thing, I’m Every Woman + so many more! 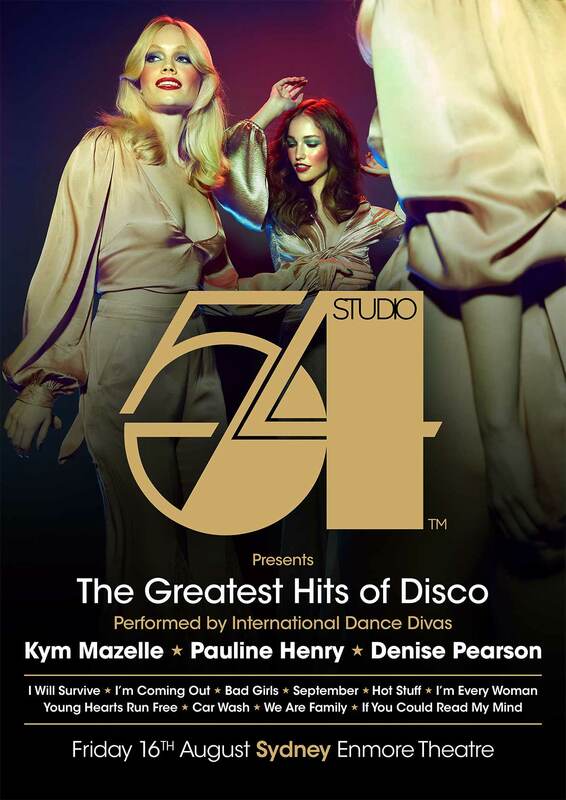 STUDIO 54 was the world-famous discoteque at the epicentre of the 1970s Disco scene. It was an outrageous haven of hedonism, tolerance, glitz, glamour, and the music of Disco. "Studio 54 was disco heaven, and now you can go too!" "Sodom and Gomorrah with a disco beat"